Video Caption: Elon Musk has never been one to keep his long-term plans to himself. 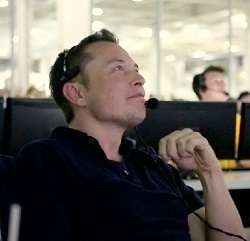 Beyond the development of reusable rockets, electric cars, and revolutionizing solar power, he has also been quite vocal about establishing a colony on Mars within his lifetime. The goal here is nothing less than ensuring the survival of the human race by creating a “backup location”, and calls for some serious planning and architecture. Video Caption: Elon Musk discusses his new project digging tunnels under LA, the latest from Tesla and SpaceX and his motivation for building a future on Mars in conversation with TED’s Head Curator, Chris Anderson. The Huffington Post has an interesting story about how “green guru” Elon Musk is getting pummeled online for his increasingly close ties to President Donald Trump. How Will Musk Sell His Mars Plans? Later today, Elon Musk will stand on a stage at the International Astronautic Congress in Mexico and reveal his plans for sending humans to Mars and making humanity a multi-planet species. His talk will be webcast on Tuesday, Sept. 27 beginning at 2:30 pm EDT. To access the webcast, please click here or connect on one of these websites: IAF website, IAC 2016 website and AEM website. Musk will hold a press conference afterward; it’s not known whether it will be webcast. The description of the talk on the conference website gives us a hint about what lies ahead. There are three questions that loom on the eve of the speech: What exactly is he going to propose? Who will pay for it? And how will he convince people it’s worth doing? A bit of parsing of the above description gives us some clues. Elon Musk has knocked down speculation that he will eventually merge SpaceX, Tesla and SolarCity into one large company. “There’s not a strong rationale to combine SpaceX and Tesla,” Musk said, unlike his previous merger — apparently, “there is (rationale) for Tesla and SolarCity” to combine…. SolarCity has accepted an offer from Tesla to acquire it for $2.6 billion. The energy company makes batteries for Tesla’s electric automobiles. Video Caption: SpaceX CEO Elon Musk talks with Recode’s Kara Swisher and The Verge’s Walt Mossberg about his plans to send a one-way rocket to Mars in 2018. He estimates colonists could start arriving on the Red Planet by 2025. Musk also talks about the proliferation of electric vehicle initiatives that compete with his other company, Tesla, and why autonomous cars will become the norm. He says he doesn’t see Google as a competitor, but that “Apple will be more direct.” Plus: Why Musk wants more people to have access to the power of artificial intelligence. 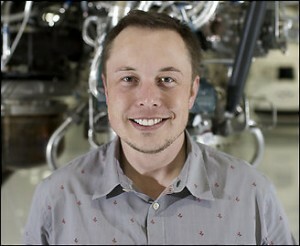 Editor’s Note: Musk said he hopes to launch one of its recovered first stages within 2 to 3 months. He re-iterated his hope to launch the Falcon Heavy by the end of the year. On Mars, Musk said SpaceX plans to send flights to Mars every 26 months beginning with the 2018 launch window. 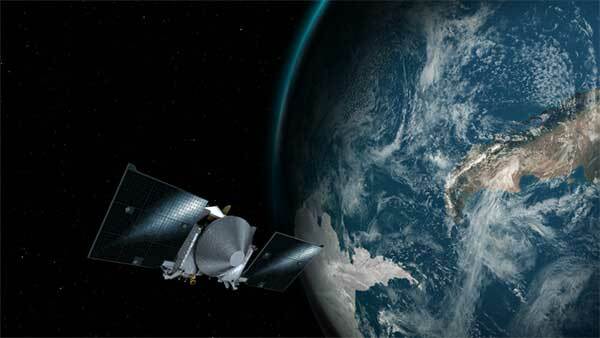 If everything goes according to plan, the first crew would be launched in 2024 and arrive the following year. He also talked about creating a way to get people to Mars in 3 months with the goal of reducing transit times to 1 month. Musk said he thought direct democracy — people voting on laws — would be best for Mars. He feels it would be less corrupt than representative democracy. However, he felt it should be easier to repeal existing laws than to make new ones. Musk plans to unveil his full plan for colonizing the Red Planet at a conference in Mexico in September. Video Caption: Elon Musk is either trying to save the world or destroy it. Stephen’s not sure which one. CNBC’s Josh Lipton speaks to Steve Jurvetson, Draper Fisher Jurvetson managing director, about his investment in all things Elon Musk and the future of Tesla. The Simpsons panel was unusually light on guest-star news, with exec producer Al Jean making only one announcement: Elon Musk will play himself in an upcoming episode in which Mr. Burns loses all of his money to the Tesla/SpaceX tycoon. Mr. Burns is, of course, C. Montgomery Burns, the elderly and evil owner of the Springfield Nuclear Power Plant who employs Homer Simpson. Musk owns two companies, Solar City and Tesla, that are focused on clean energy. This is the 26th season of the animated show, which already has 552 episodes under its belt.